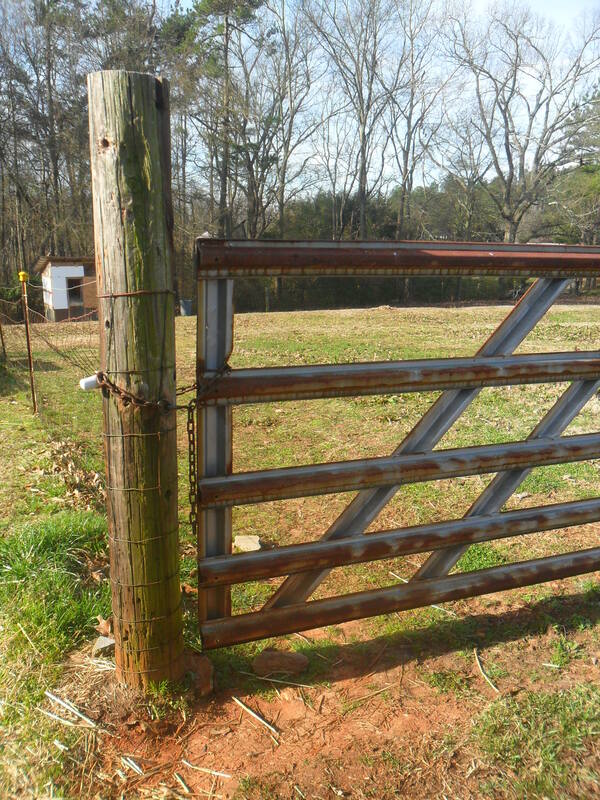 My morning on the farm….. I love days where I get to spend a little extra time on the farm, before the other responsibilities of my day start knocking on my door. This morning was particularly nice, as the horrid wind had stopped, the sun had come out, and Mini was in one of his rare good moods. Since it was so nice….I decided to share. 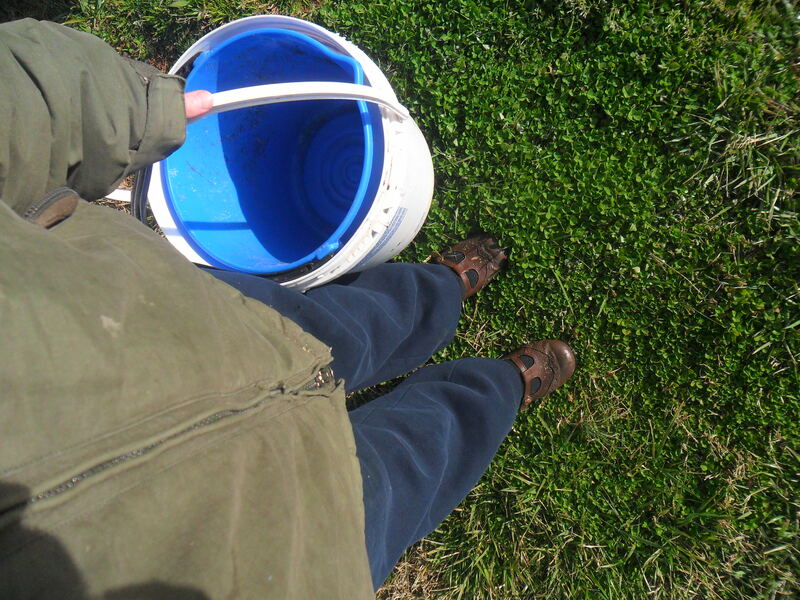 Decked out in my farm gear, which translates to Stephen’s sweat pants and coat, old shoes, and armed with two buckets. 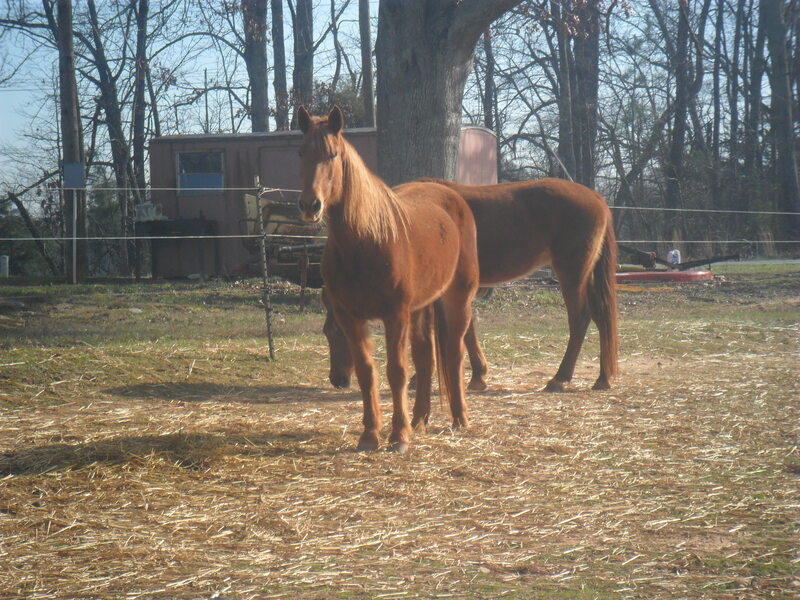 Out to the chicken pasture I go to let out the tribe, gather any eggs, fill up the feeder and waterer. The chickens run to their favorite morning spot by the barn to dust bath. I’ve actually caught Mini in a rare moment of relaxation – the boy never cuts loose. 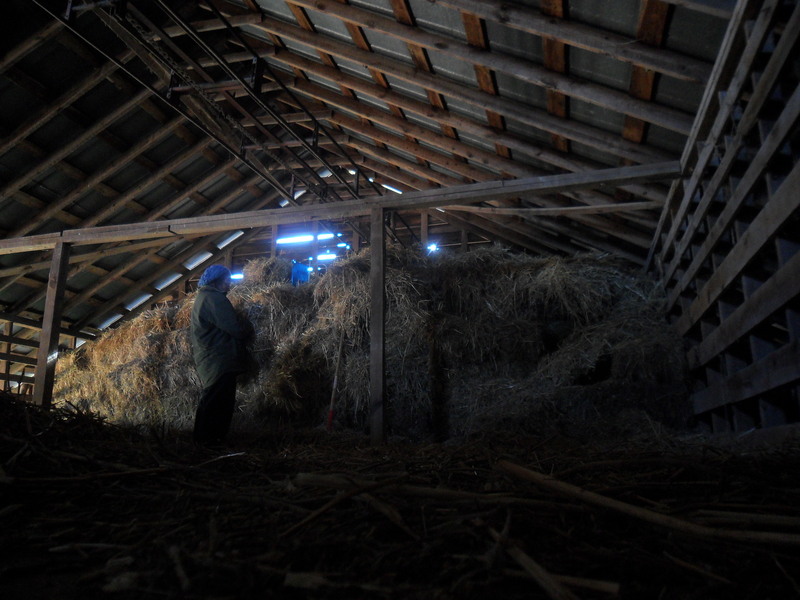 While the chickens enjoy the sun, I climb up into the barn loft to get some fresh hay for the nesting boxes. 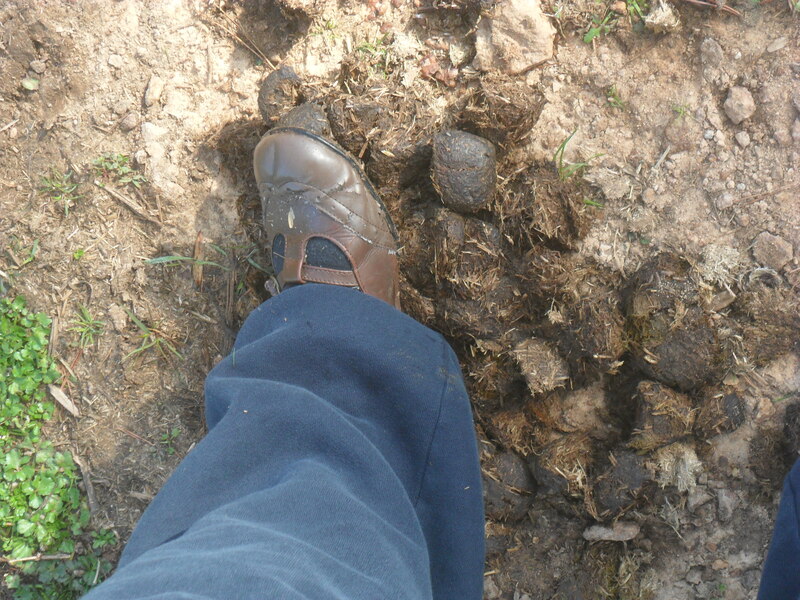 Taking a short cut through the horse corral, I manage to step in a big pile of poop. 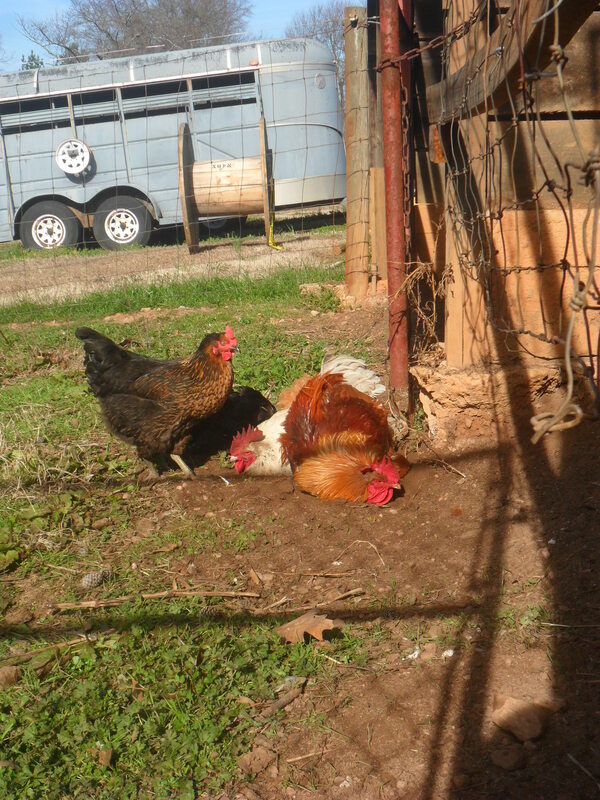 Which reminds me that I can’t leave out the chicken’s buddies, Cody and Jill. 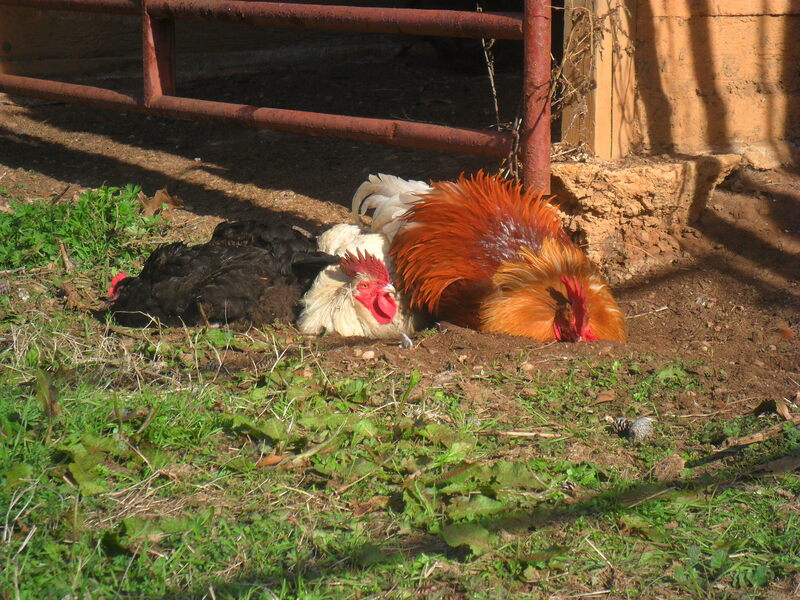 Chickens are as happy as ever…..piled up and enjoying the morning. 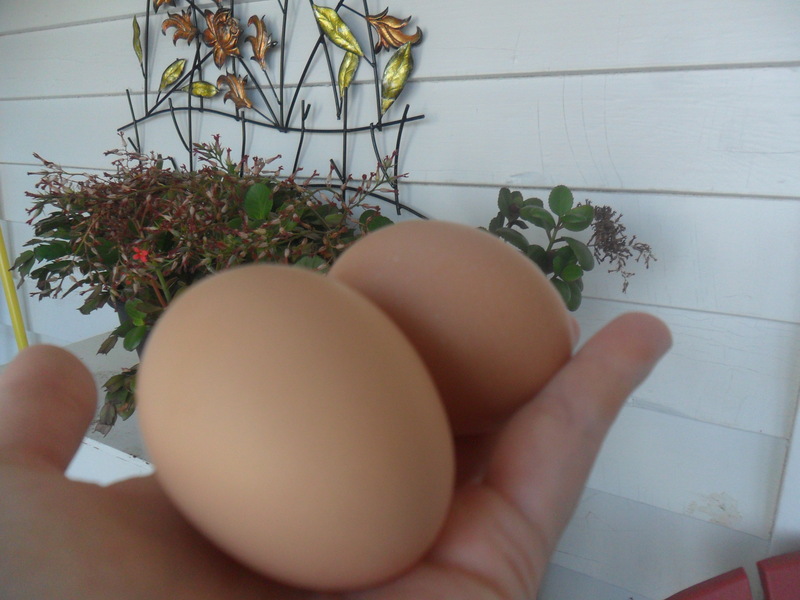 This is what mornings on the farm are like – chickens, eggs, poop, hay, dirt. All the nice things that, despite being dusty and outside, make you feel real clean. Last week, we started our garden indoors with onions, lavender, and rosemary. Both lavender and rosemary take almost a month to germinate, so starting them early is a necessity if they’re going to be ready for planting by April 12, the date of the average last frost. 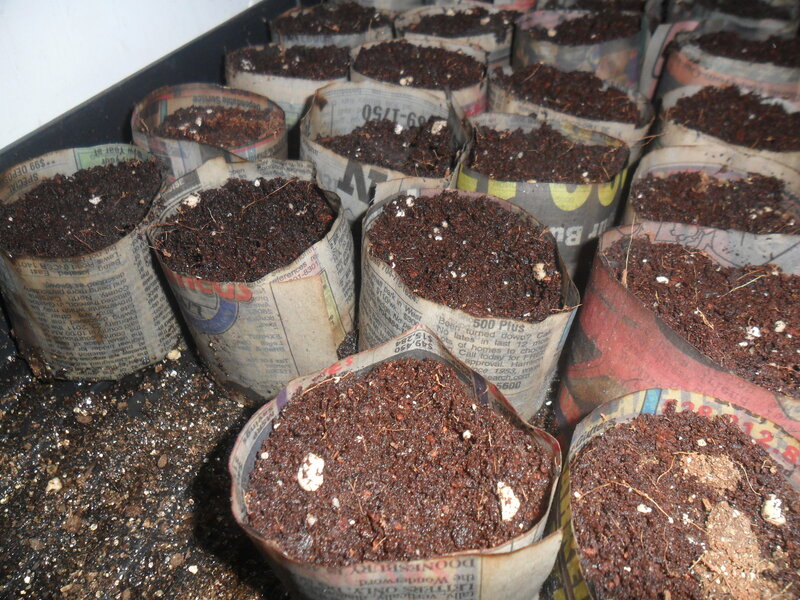 To start them, I’m using little two inch pots made of strips of newspaper. I made them with this wooden pot maker: http://www.amazon.com/PotMaker%C2%AE-The-Original-Pot-Maker/dp/B00062ZNXQ Once I got the hang of using it, the pot maker worked really well. Although onions germinate quickly, they need an extra-long growing season, often five months or more, so giving them a head start indoors can ensure plenty of time to develop from seeds to scallions to nice, respectable onions. This year, we’re planting Red Creole Onions, an heirloom variety well-suited for the South. I was surprised to learn that the South’s most popular onion, the Vidalia Onion, is actually a hybrid, not an heirloom. Although Vidalia Onions taste great, I wouldn’t be able to save seed from year to year if I grew them. 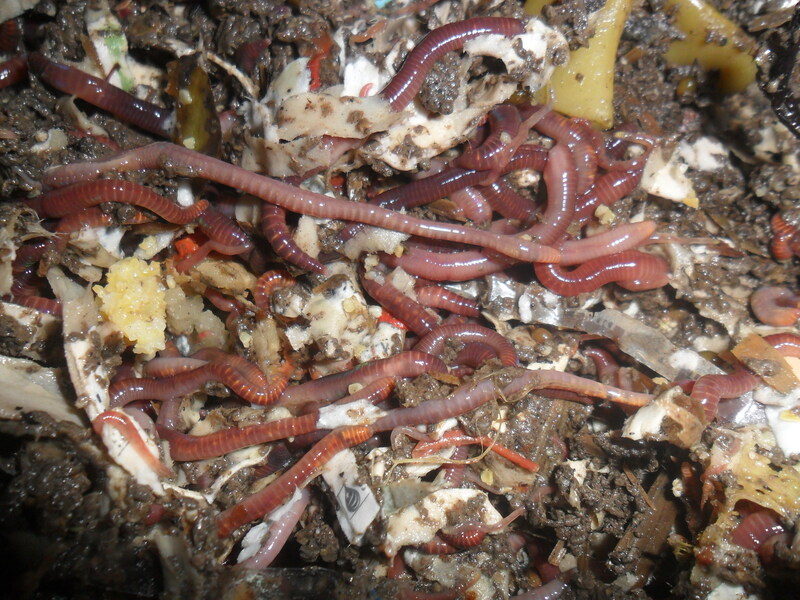 okay, worms look gross, but their castings are black gold.